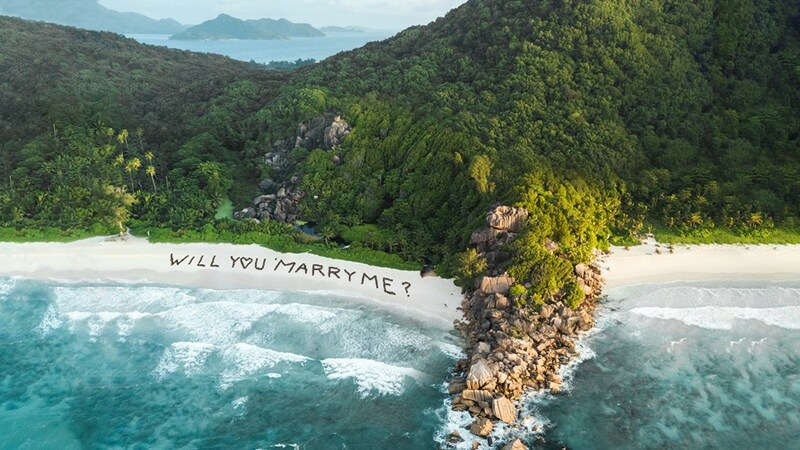 Baie Lazare, Seychelles, 2018-Sep-10 — /Travel PR News/ — “Bubbly Moments” is the title of a selection of marriage proposals launched by Kempinski Seychelles Resort Baie Lazare giving would-be grooms plenty of time to book the perfect winter-break proposal in paradise and pop THE question in style. The highlight of this collection is the “Best of Seychelles Aerial Proposal”, which includes a three-day luxury island-itinerary with a proposal from a helicopter. Should you have any other questions or enquiries that are press related, please contact us at pr.seychelles@kempinski.com. Alternatively, you can give us a call on +248 438 6666. This entry was posted in Hotels, Resorts, Travel, Travel Services, Travelers and tagged Baie Lazare, Bubbly Moments, Kempinski Seychelles Resort, marriage proposals, Masami Egami. Bookmark the permalink.